SO Veronica and I decided to start something new on the blog. The Writers Column is going to be an area for us to tell you all what’s going on with us. We aren’t always reading books, or like me, I am not always reading books that I will review, but I still want to talk to you all about it. This will be posted on a weekly basis, with Veronica and I switch each week. You should see this on Mondays. My life recently has gotten crazy. My sister’s wedding is in two and a half weeks, meaning my weekends have been sucked up by wedding stuff. Not that I don’t enjoy it, but it gets to be exhausting. I am looking forward to having my weekends back after July 4th. And I am really looking forward to reading at a better pace. I did get to go zip lining and tackle a ropes course for my sister’s bachelorette party. It was challenging and so fun! Those harnesses are not human friendly… saw a lot of junk I didn’t want to see, hehe. Given that it’s summer, of course I have to talk about my summer vacations! At the end of June I will be in Dewy Beach celebrating a wonderful friend’s 30th birthday. It going to be so much fun, but it’s also scary- she’s the first of us to turn 30. But why is 30 so scary? I have no idea. I still have a year and a half before I hit the big 3-0. However, the scary 3-0 won’t stop me from enjoying the sun and sand and tan. I am also heading to Disney World in August. Most of you probably don’t know this, but my brother works for Disney at Disney’s Animal Kingdom. He’s their communications specialist for cast members. He moved away from MD (where I’m from) three years ago, so it’s a challenge but it also gives me more opportunities to go to Disney! So, Apollycon was recently announced and tickets went on sale June 3rd. I was able to buy a ticket so I will be there in March 2017! Super pumped! I was able to grab a Titan Pass too! If anyone else is going, please let me know! I am so down for a meet up! And given that it’s in Orlando, I’ll be going to Harry Potter too! I am all about the more the merrier so let me know! My OTP will always be Chaol/Celaena. You won’t change my mind on this. However, I understand that people and circumstances change and not all relationships are meant to be. I am still not over Sam Cortland and I, on a daily basis, punish myself by listening to The Assassin and The Underworld playlist Maas created. I can usually be found crying at my desk at some point in time during the day while A Life So Changed plays. It also doesn’t help that Titanic is my souls weakness and I will always cry. Sarah J. Maas is perfect and her playlists on Spotify are the best things ever. They really get me through my work days and tell a story of their own. So thank you for that. 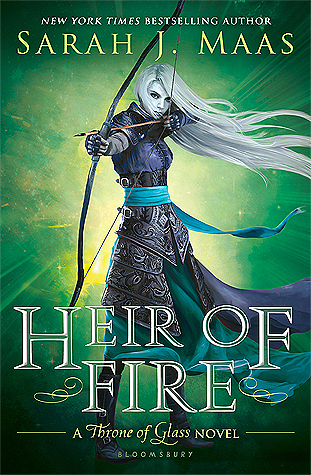 Dorian was a ninny… but my opinion of him may be changing, depending on what happens in Queen of Shadows. I really need him to step up. Speaking of stepping up- Ima need Chaol to stop waffling. Pick a side and stick with it. Aedion is a God and I can’t wait to see him and Celaena fighting together. And finally- MEAVE GTFO. Thanks. I hope you all like this column. If there is anything in particular you want to see from Veronica and myself, please, let us know! We are always looking for new, fun ways to entertain you all. So I know this isn’t a YA novel, but when I read the synopsis I knew I had to have this book. Once I got it, back in February, I put off reading it. I think subconsciously, I wasn’t ready for the heartbreak and loss this book would bring… and it brought it hard and fast. From the summary, you already know Emma had a husband who died. She eventually moved on, fell in love, and is engaged when news comes that Jesse, her husband, is alive. It’s quite a shock. And that is really what this novel is about- how to come to terms with your past and your future, recognizing the person you have become. 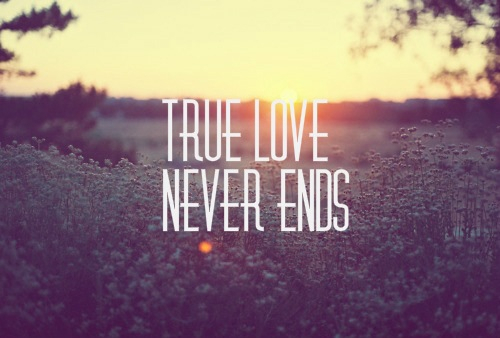 Moving through the novel, we experience Emma’s first true love, Jesse. Their relationship is a whirlwind romance. They are high school sweethearts, attend the same college, travel around the world together. You can see that their love could be a forever kind of love. But there comes a moment when Emma questions her future- kids, settling down, etc. And she is not sure of Jesse’s opinion. But in the end it doesn’t matter because he “dies”. Emma eventually moved back to her home town and is able to move on with her life. Then she meets Sam Kemp. He is her second chance at love and she takes it. They have built a wonder life together, so when Emma gets the call that Jesse is alive, she is thrown for a loop. She now has the opportunity to go back to her travel life with hr first love. But when Jesse does officially come back, it’s different, he’s different, they are different. When Jesse comes back into the picture, it broke my heart to see Sam believe that Emma would go straight back into her old life, forgetting about him. But Sam was gracious enough to understand that Emma needed sometime to work through her feelings and he gave her that (please go listen to Crash and Burn by Savage Garden– this is Sam and Emma’s song). And I got so mad at Jesse for assuming Emma would drop everything to be back with him, that he thought she shouldn’t have moved on with her life. He was very selfish and didn’t help Emma’s confusion. 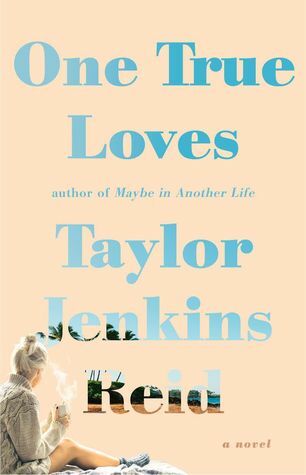 Taylor Jenkins Reid does a wonderful job at showing the turmoil a person goes through when they lose someone they love. The book is fast paced, moving through Emma’s life quickly but also showing the most important parts of it. And the transition, that weird gray part of a person’s life right after tragedy strikes, is the most compelling piece of the novel. Reid hits the nail on the head of how the body and mind handles death and destruction. Her words are like a complicated musical, moving from moment to moment, heartache to heartache (please start singing Pat Benatar- love is a battlefield). These in between chapters flow and sway, a slow blooming crescendo to a new life, a new person. The novel also shows that while tragedy and death do happen, you can move on, you can love again. Heartbreak is not forever. I received this ARC from Washington Square Press and Edelweiss. Receiving this ARC for free doesn’t sway my review.